Elway and Russell won't be alone in Oregon today as the game is a must-scout for all NFL teams. 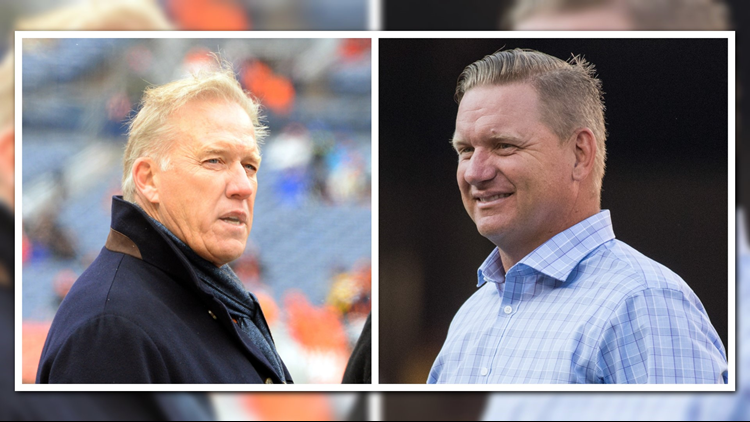 KUSA – Fresh off garnering his best rookie class in years, Broncos general manager John Elway is rolling up his sleeves and going to work on the 2019 draft. Elway and director of player personnel Matt Russell will be attending the Oregon-Washington game today at Autzen Stadium in Eugene, Ore., in what is the first of several college trips the Broncos’ duo is scheduled to take in the coming weeks. Elway and Russell won’t be alone in Oregon today as the game is a must-scout for all NFL teams. More than 15 scouts/personnel executives around the league are scheduled to attend the Oregon-Washington matchup. It features the Ducks’ Justin Herbert, the projected top quarterback in next year’s draft, as well as several other early round prospects. In all, 13 to 16 players overall from the game figure to one day play on Sundays in the near future. Before anyone tries to connect Elway’s visit to the team’s three-game losing streak, this trip was planned back in July along with several others throughout the college football season. As it stands now, the Broncos’ greatest need is at cornerback and offensive tackle, where Washington has redshirt sophomore Byron Murphy and senior Trey Adams (who is out for the season with a back injury) as projected first-round picks. Other potential high-round picks in this game are Oregon edge rusher Justin Hollins and linebacker/safety Troy Dye and Washington strong safety Taylor Rapp, receiver Aaron Fuller, linebacker Ben Burr-Kirven and defensive tackle Greg Gaines. Elway poured hundreds of hours into evaluating the top four quarterbacks in this year’s draft – Baker Mayfield, Sam Darnold, Josh Rosen and Josh Allen – before using his No. 5 overall pick on edge rusher Bradley Chubb, who has been a Broncos’ starter since Day 1. The Broncos are also getting considerable rookie production from second-round receiver Courtland Sutton, third-round running back Royce Freeman, third-round cornerback Isaac Yiadom, fourth-round linebacker Josey Jewell, fourth-round receiver DaeSean Hamilton, fifth-round linebacker/special teamer Keishawn Bierria and undrafted running back Phillip Lindsay.